Ce document au format PDF 1.4 a été généré par Adobe InDesign CS3 (5.0.4) / Adobe PDF Library 8.0, et a été envoyé sur fichier-pdf.fr le 08/12/2011 à 07:57, depuis l'adresse IP 82.125.x.x. La présente page de téléchargement du fichier a été vue 1202 fois. Taille du document: 191 Ko (11 pages). was listed as one of the top 100 American intellectuals in Richard Posner’s Public Intellectuals. Policy and The New Golden Rule: Community and Morality in a Democratic Society. I am indebted to Alex Platt for several rounds of comments on previous drafts. Louis Henkin, The Age of Rights 2 (1990). by inserting a foundation underneath them end up undermining their construction. Human rights stand tall on their own. than that which they are supposed to support—human rights. But natural law has long been recognized as a particularly opaque concept. quipped that natural law theories are “rather like the northern lights . . .
Michael Ignatieff, The Attack on Human Rights, 80 Foreign Aff. 102, 108 (2001). S. Pac. 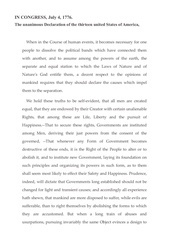 Co. v. Jensen, 244 U.S. 205, 222 (1917) (Holmes, J., dissenting). Michael S. Moore, Law as a Functional Kind, in Natural Law Theory 188, 188 (Robert P.
George ed., 1992) (commenting on Justice Holmes’s remarks, supra note 5). they lose their normative standing. is weaker than the structure it is meant to support. 182 (Patrick Hayden ed., 2001). (entered into force 23 Mar. 1976). 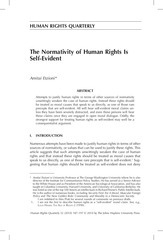 Conceptions of Human Rights, 76 Am. Pol. Sci. Rev. 303, 307 (1982). See, e.g., Alasdair Macintyre, After Virtue: A Study in Moral Theory (1984). hardly be taken as a challenge to the normativity of these rights. more support than the rights themselves are not beneficial. concerns “is” statements, while this article deals with “ought” statements. some empirical or logical exterior judgments. Self-evident moral precepts compose a small category of moral claims. Rhoda E. Howard, Human Rights and the Search for Community 142 (1995). Univ. Press 2d ed. 1978) (1739–40). out—unless one’s vision is blocked, a point explored below. thousand miles away.” Peter Singer, Famine, Affluence, and Morality, 1 Phil. &amp; Pub. Aff. 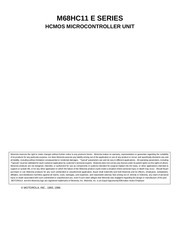 Etzioni, Are Particularistic Obligations Justified? A Communitarian Examination, 64 Rev. learned to abide by them. rather than hang one innocent person,” may initially seem self-evident. “two wrongs do not make a right” stands, even after examined. Henkin, supra note 1, at 26–29. Audi, Self-Evidence, 13 Phil. Persp. 205, 223 (1999). Charles Taylor, Sources of the Self: The Making of the Modern Identity 5 (1989). role analogous to that played by God’s commandments in religious systems. 49 Rev. Pol. 319, 322 (1987). Alvin Plantinga, Is Belief in God Rational?, in Rationality and Religious Belief 7, 19 (C. F.
mentally handicapped, are blind to even the most shining normative light. to overcome their various mind and soul numbing addictions. Amartya Sen, Human Rights and Asian Values, New Republic, 14–21 July 1997, at 33. Human Rights in Cross-Cultural Perspectives: A Quest for Consensus (Abdullahi Ahmed AnNa’im ed., 1992). who are open find them compelling. 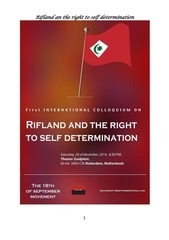 human rights has rested on the claim that human rights are self-evident. strengthens the case for human rights. Social forces make people better or worse than they would be otherwise. public image for political, commercial, or some other self-serving purpose. the progress of human rights will be undermined. which would let those claims that are truly self-evident stand out. closed societies, have yet to recognize them. Rights, supra note 7, at 241, 254.
borders—would make for a better world, one that is more attentive to human rights and to other moral causes. reached, can one logically ask about the legitimate ways the global community should react to such findings. Ce fichier a été mis en ligne par un utilisateur du site. Identifiant unique du document: 00082152.